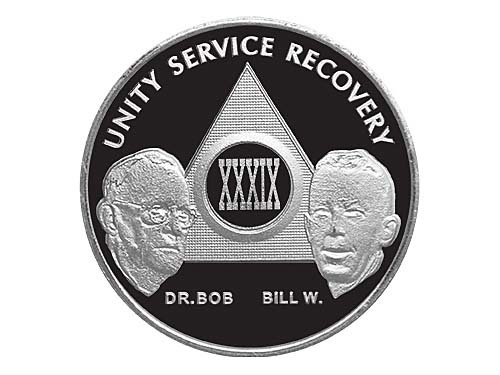 A stunning ~NEW~ AA coin design available in years 1 through 60. These beautiful, Paint on Demand AA anniversary coins feature our fellowship's founders on the front along with a Roman numeral year designation. 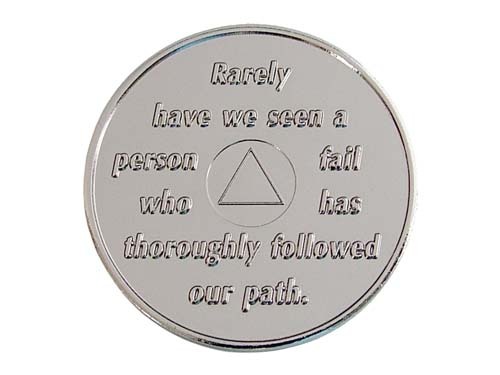 "Rarely have we seen a person fail who has thoroughly followed our path." is embossed on the reverse side. At WoodenUrecover.com, all Paint on Demand Medallions are delivered in a nice velvet gift pouch at no additional cost! 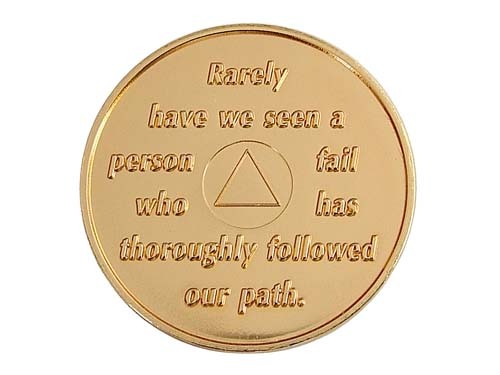 However, please consider purchasing one of our Coin Capsules to further protect these beautiful keepsakes.